As your Mobile Porsche dealership, we’re dedicated providing you top-quality service every step of the car ownership process. Whether you’re planning a DIY car project or need repairs at our dealership, we’ll provide you with genuine Porsche OEM parts every time. 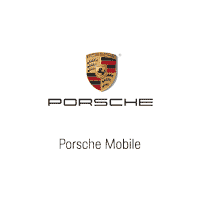 From everyday part replacements to Porsche performance parts, we have what you need at Porsche Mobile. Our Porsche service department stock a wide variety of factory OEM parts at all times because we know how important it is to rely on genuine Porsche parts over aftermarket parts. In fact, using factory parts over aftermarket parts can be the difference between having a luxury car that lasts for ten years or more and a car that dies out prematurely. Whether you’re considering maintenance, repairs, or accessorizing your vehicle, you can access Porsche parts for the right price from our parts department. For added ease, you can even order Porsche parts online and we’ll give you a call as soon as your order is ready. If you have any questions in the meantime, don’t hesitate to contact our parts department or visit our dealership near Fairhope!